Welcome to our site! 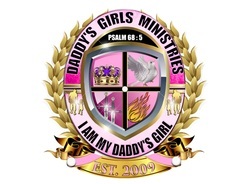 Feel free to click on the "Daddy's Girls" tab to read our blog! You are welcome to leave a comment and spread the word! If you would like more information about this ministry or if you would like Minister Gaul to minister at your next event, fill out the "contact us" information and someone will get back with you. Grace and Peace!